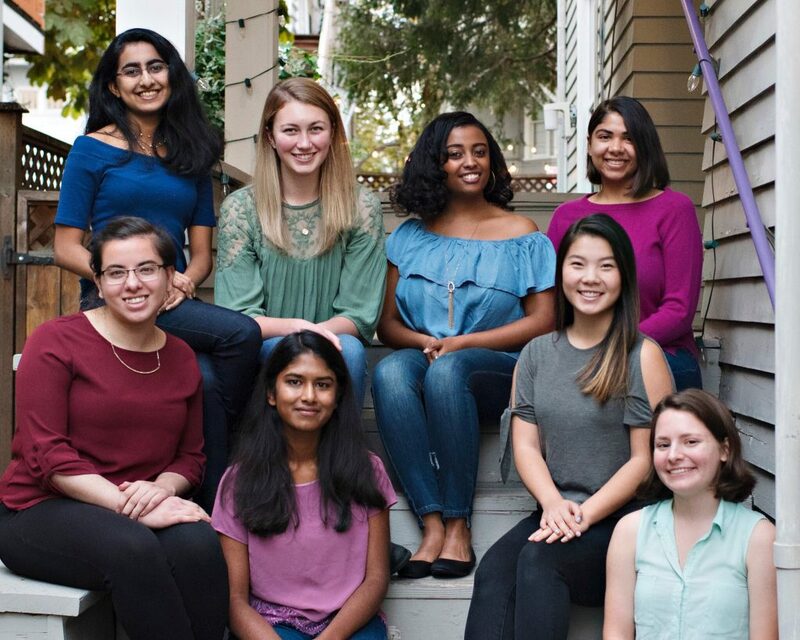 It’s both exciting and hard to believe: We’re getting ready to enter the third year of the TUNE House, a two-year scholarship program for female undergraduate students who demonstrate a passion for computer science or other tech-related degrees at the University of Washington. When the program first kicked off in 2015, the TUNE House committee was impressed by the caliber of the inaugural scholars. 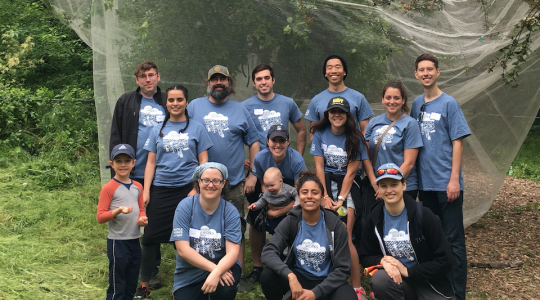 As the program continues to grow and evolve, we remain inspired by the students’ driven, hardworking, and dedicated attitudes to change and build the world of tech. For this school year more than 50 students submitted applications with inspiring essays and competitive resumes. After multiple interviews with the TUNE House team, eight impressive women were selected to become this year’s scholars. The 2017-18 scholars moved into their new home at the beginning of September, and are attending the Grace Hopper Celebration (GHC) this week. This trip is possible thanks to a number of TUNE employees, Snapchat, and Melinda Gates and her team, who generously donated tickets and funds to get them there. 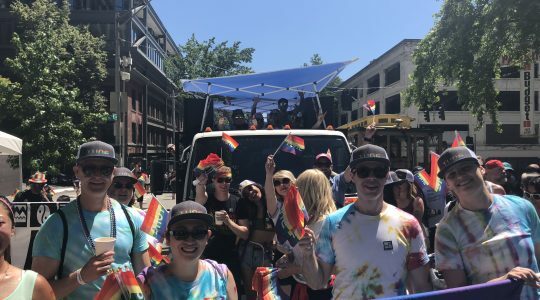 They leave equipped with knowledge on how to make the most of their experience from TUNE engineers who attended GHC in the past, as well as a conference care package to set them up for success. As none of the scholars have attended GHC or traveled together, this trip provides an opportunity to gain professional and career development skills while strengthening their bond as housemates. After they return from GHC, the scholars will have the opportunity to connect with a mentor from TUNE, learn tech and career development skills through workshops, and participate in the TUNE House Roadshow. While TUNE provides the house where students can focus on their studies and careers, the program has been molded by the community the women have built and continue to develop. Inspired by a similar college housing experience by TUNE founders Lucas and Lee Brown, the TUNE house is one of many opportunities for us to support the visibility of women studying technology and help provide a support system for them through mentorship and camaraderie. Without further ado, we’re pleased to announce the 2017-18 TUNE House scholars. We believe the six new women and two returning scholars will not only become amazing ambassadors of the program, but will also positively contribute to the current wonderful resident dynamic. is a hopeful polymath who is constantly curious and has a love/hate relationship with her comfort zone. She recently discovered her love for algorithmic thinking in an introduction to programming course at the University of Washington. She enjoyed it so much that she became a teaching assistant for the course — something she enjoys even more. Christine spent her 2017 summer as an Engineering Practicum intern at Google in Mountain View, California. She spends her free time practicing web development by making websites, taking online courses, and learning to work with electronics and hardware. She cares deeply about the multidimensionality of the human experience, and hopes to go on to share her newfound passion and knowledge with others. is a sophomore at the University of Washington who plans to major in computer science or informatics. Ever since she was a kid coming from a small Indian town, Aishwarya wanted to impact the world for the better. Because of her passion to solve social issues with technology, she was selected to represent her high school’s first computer science class in a feature on Microsoft’s homepage, and to speak about the importance of diversity in the tech industry at two events: the Clinton Global Initiative, where she spoke to an audience of world leaders; and WE Day, an empowerment event for 17,000 youth featuring world-renowned speakers and award-winning performers. She has been a student ambassador for a Girls Who Code club to help teach young girls the basics of computer science. 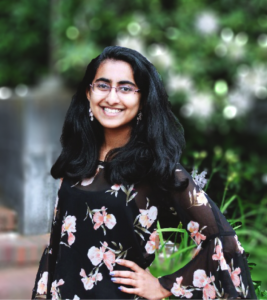 Aishwarya interned at Microsoft in the summer of 2016, and at Boeing in the summer of 2017.
is a feisty, 5-foot, fantast who can’t wait to change the world with the power of computer science. Her passion has inspired her to create personal projects like Holy Guacamole! (a website that locates guacamole nearby) and a TV show Twitter bot (an account that automatically tweets anytime a new episode of a TV show she watches airs) in order to solidify her understanding of new technology topics. 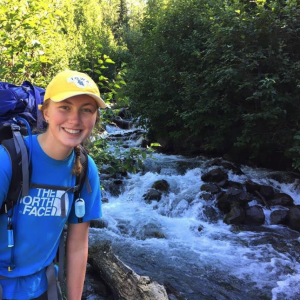 She is the recipient of various STEM scholarships, including the Dovie Samuelson Endowed Scholarship, the Association for Computer Professionals in Education Scholarship, and the SAME Seattle Post College Scholarship. This summer, Olga was in Menlo Park as a Facebook University intern, specializing in iOS development. 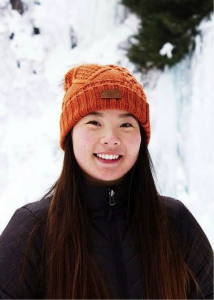 Prior to her internship at Facebook, she interned at Microsoft in 2016 as an IUX intern on the Word Flow team, dabbling in big data analytics and marketing strategies. The summer before that, she attended the Girls Who Code Summer Immersion Program at Google where she learned about robotics, web development, algorithms, and just how much she loves computer science. Because she values the idea of younger girls interested in STEM having strong female role models to look up to, she makes animated videos on her YouTube channel, HERstory in STEM, about accomplished women in STEM who aren’t widely recognized. During high school, she also published videos on challenging math topics to assist struggling peers. When she’s not freaking out about already being a sophomore in college, you might find her bouldering, playing soccer, dancing at concerts, running in fluorescent clothing, petting cats, or flying her drone around. 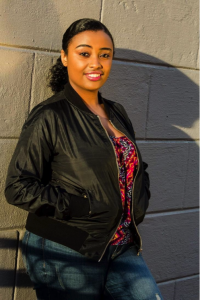 moved to the United States from Addis Ababa, Ethiopia during her junior year of high school. 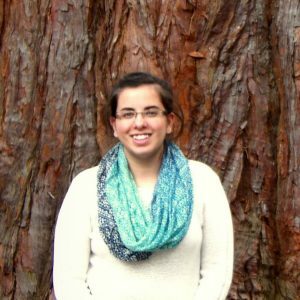 As a senior at the University of Washington, she’s studying informatics with an emphasis on software development and user experience. She’s an alumni and current mentor and tutor at Making Connections, a college readiness program serving low-income high school girls with a mission to increase college enrollment and career interest in STEM fields. is in her junior year at the University of Washington, eagerly pursuing a double degree in computer science and informatics. Despite the challenging course load, she appreciates studying a broad spectrum of topics, from UI/UX design, to database management, to low-level C and assembly code. She has been fortunate to apply these acquired skills during a recent internship at Boeing assisting the information security team. Cherie truly enjoys helping others, a passion that she fulfills as a teaching assistant for the introductory programming series at the University of Washington. She loves the challenge of communicating difficult concepts, and sharing her enthusiasm for programming with her students. is a junior at the University of Washington pursuing computer science with interdisciplinary honors. She currently works in the Security and Privacy Lab at the Computer Science & Engineering Department as an undergraduate research assistant building Confidante (a usable email encryption client that employs Keybase for automatic key management). Mitali spent the summer of 2017 interning at Uber on their platform infrastructure team as a software engineering intern. The previous summer, she was a software engineering intern at NASA on their human systems team. is originally from Sacramento, California, where she grew up with her parents and older sister. 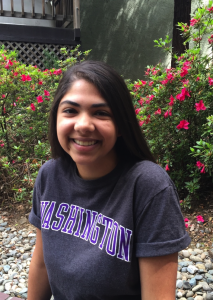 After accepting a spot at the University of Washington, she moved to Seattle to pursue a degree in chemistry. However, shortly after she found a new passion for computer science. Her interest in computer science has allowed her to work as a teaching assistant for introductory programming classes. She enjoys her work as a teaching assistant and, one day, hopes to become a teacher. 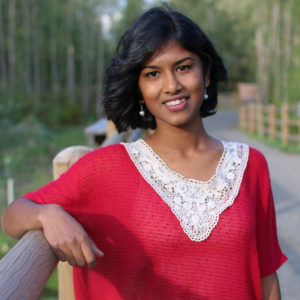 Alongside computer science classes, Shanti has been able to explore other fields through various classes at the University of Washington, which have lead her to pursue a minor in art history. 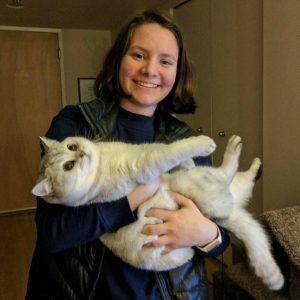 Outside of her academic studies, she is a member of the University of Washington’s women’s rugby team and the student representative on the Board of Directors for the Wesley Club, an open and inclusive on-campus ministry. is a junior at the University of Washington. She is pursuing a degree in computer science and is also an undergraduate research assistant at the Security and Privacy Lab. While in high school, she dual-enrolled at Highline College via the Running Start program and attained her Associate of Science degree in computer science along with her high school diploma. Apars is very passionate about increasing diversity in STEM and was recently a speaker at the 2016 Washington STEM Summit. Looking to get involved with the TUNE House program? Interested in partnership or sponsorship opportunities, or information about student mentoring and tech workshops? Reach out to [email protected] about programs or visit our website to learn more. 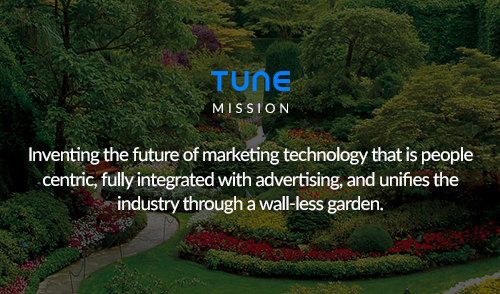 Ali is a content marketing manager at TUNE. She is also a manager of the TUNE House program and creator of the TUNE House Roadshow. Ali received her bachelor's degree in Communication from the University of Washington. Outside of work you can find her traveling and exploring new neighborhoods by foot with her husband and furry companion.